Presented in ornate and luxurious undertones, China One's expansive interiors are adorned with Chinese antique furniture, intricate lantern lighting and plush leather chairs. Move to rousing music brought to you by our live bands every night of the week. Resident DJ Alien(KL) will keep the crowds entertained throughout the night with his house mixes. A different live band every night to keep you mesmerized. Complete your perfect night out with our Liquidicious buffet. Easing off your tension has never been easier. 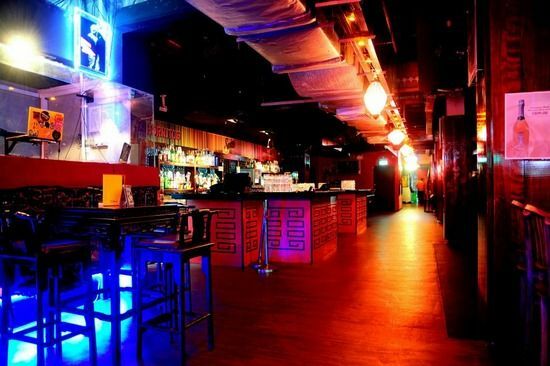 In this space, enjoy a drink concocted by the best flair bartenders in Singapore. Coupled with the mouth savoury burgers from Fatboys, we will tantalize your palate. Our pool tables will impress even the most demanding of players. Touted as Singapore's most divine pool and lounge bar, our Premium bar is set to distinguish itself in a class of its own. The space is evocative of old Shanghai. The atmosphere is one of luxurious hedonism. Spend your night receiving service reserved for emperors.